Where is cooperation between national parliaments and the European Parliament going? How could the dominance of the executives in the EU economic and financial governance be pushed back? Valentin Kreilinger – Associated Reseacher at Jacques Delors Institut Berlin – advises to make inter-parliamentary cooperation attractive for MPs/MEPs and to clarify organizational issues. On 3 and 4 February 2015 around 200 members of national parliaments and the European Parliament meet in Brussels to discuss budgetary and economic policy issues. This meeting serves to exchange information and could push back the dominance of governments and the European Commission in the economic and financial policy, but is overshadowed by internal differences among the parliaments of the EU. Technically, national parliaments and the European Parliament fulfilled the provision of Article 13 of the Fiscal Compact (Treaty on Stability, Coordination and Governance) to establish a conference for discussing budgetary issues: The conference takes place every semester and meets for the fourth time. In fact, however, the parliamentarians could not even agree on Rules of Procedure which in the two other inter-parliamentary conferences (of the European Affairs Committees and for Foreign Affairs and Security Policy) codify basic organizational issues, such as the number of participating members. Some parliaments were not represented at all at past conferences, others by a delegation of ten or more deputies. 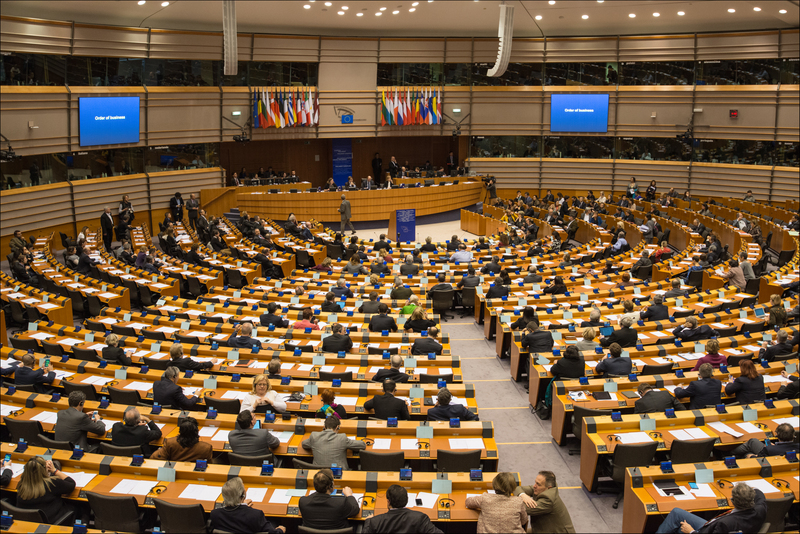 The European Parliament is sceptical about strengthening the role of national parliaments, but among the 28 national parliaments it is also difficult to identify a common position. The preferences can be explained by overlapping authority claims of the individual parliaments which prevent the smooth functioning of inter-parliamentary cooperation. The organization and the agenda of the meeting illustrate this: On the first day the coordination of economic and budgetary policies will be discussed in the context of the European Semester, chaired by the European Parliament only; the “Conference under Article 13 of the fiscal compact” on the second day, when the Latvian Parliament (because of his presidency) and the European Parliament jointly hold the presidency, is artificially separated from the other event. If one remembers, how designated Commissioners were “grilled” in the European Parliament, one would like to see such a format at inter-parliamentary conferences or Prime Minister’s Question Time, instead of a series of speeches by representatives of the EU institutions. This would automatically lead to a higher media interest and allow MPs and MEPs to be visible at this conference. At the same time, participants should sit sorted by their European party families and not by nationality, in order to highlighted not national but ideological cleavages. The current inter-parliamentary cooperation in the economic and financial governance does not provide sufficient incentives for parliamentarians to get involved. Instead, the members of national parliaments use the traditional way to control EU policy making with domestic scrutiny processes. Especially the opposition parties should, however, take advantage of the opportunities to cooperate with their counterparts from other Member States and from the European Parliament in order to reduce their information asymmetries compared to the government parties. Of course this should also be done informally within the European party families or bilaterally – but the value of an inter-parliamentary conference is precisely in initiating such contacts and offering them a structured platform. MPs should therefore quickly breathe life into the inter-parliamentary conference of Article 13 of the Fiscal Compact.